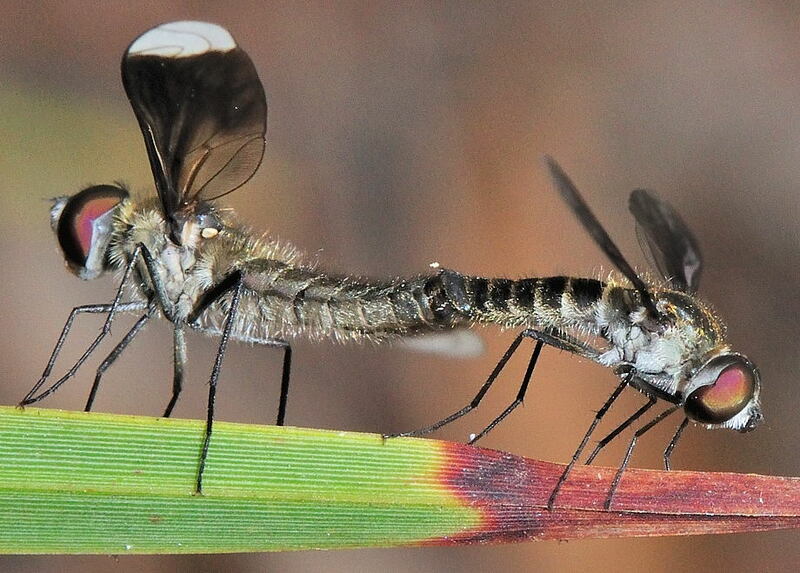 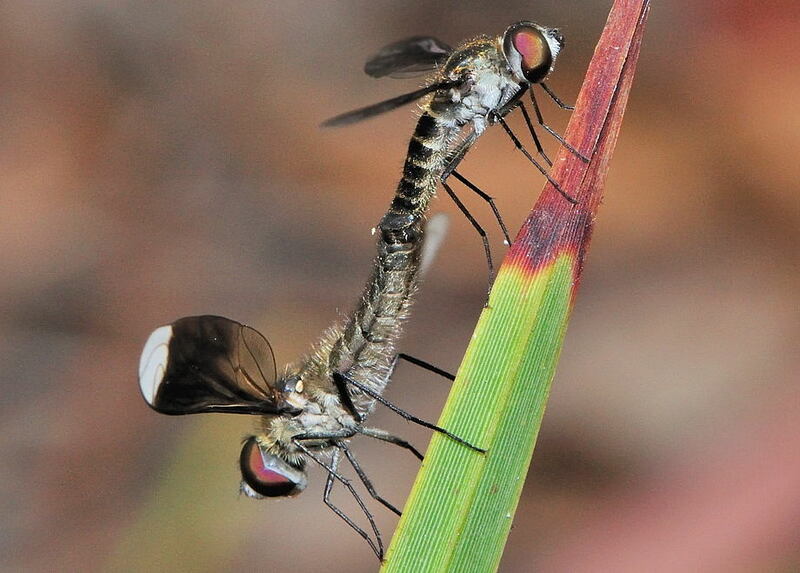 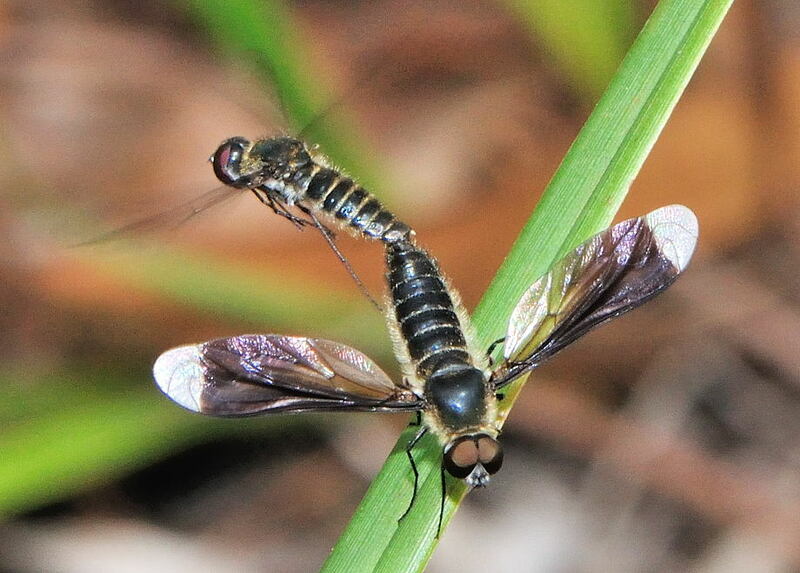 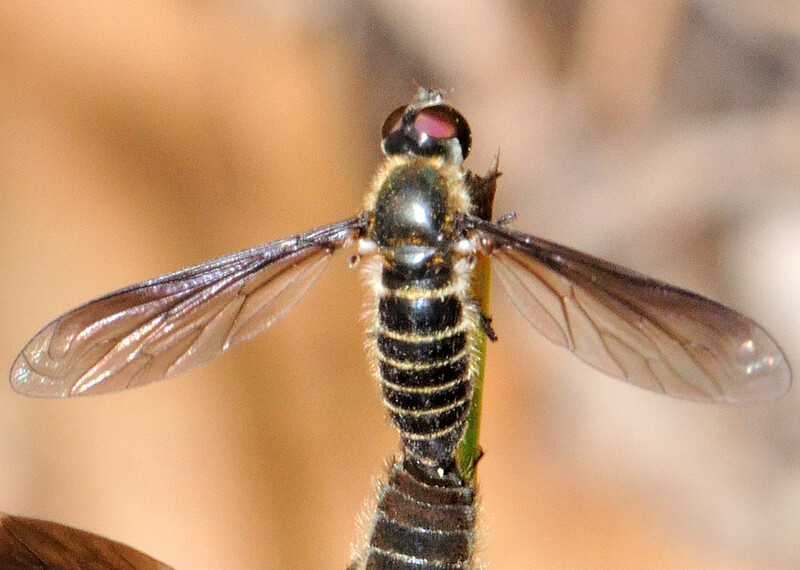 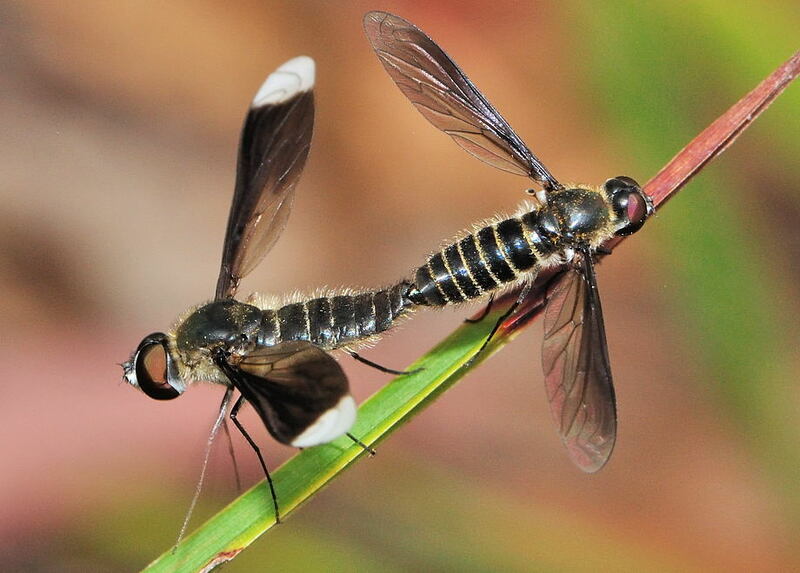 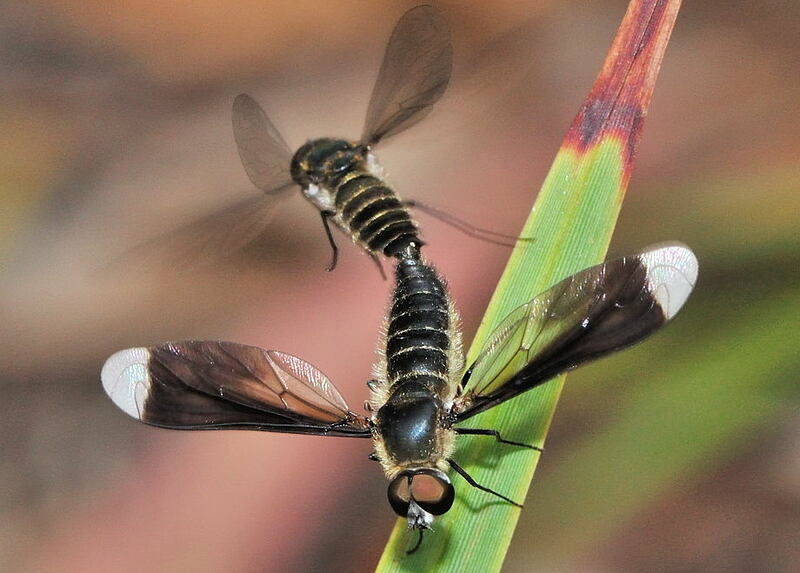 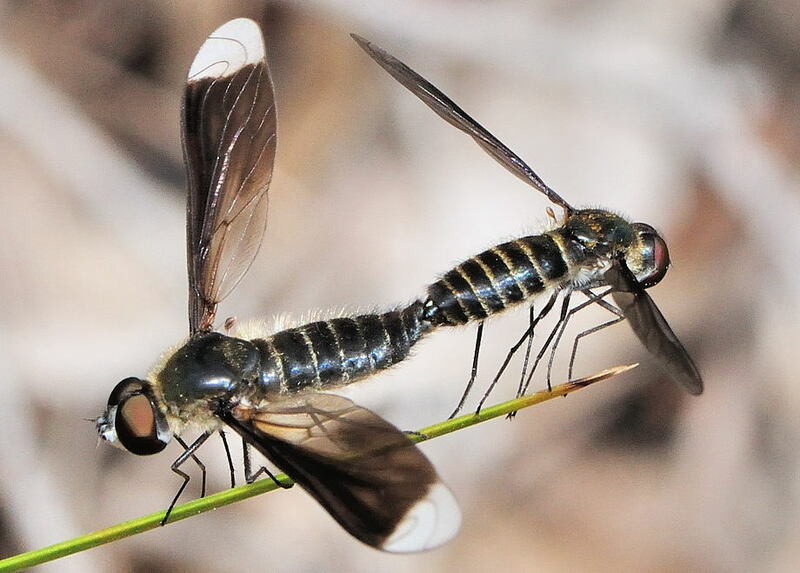 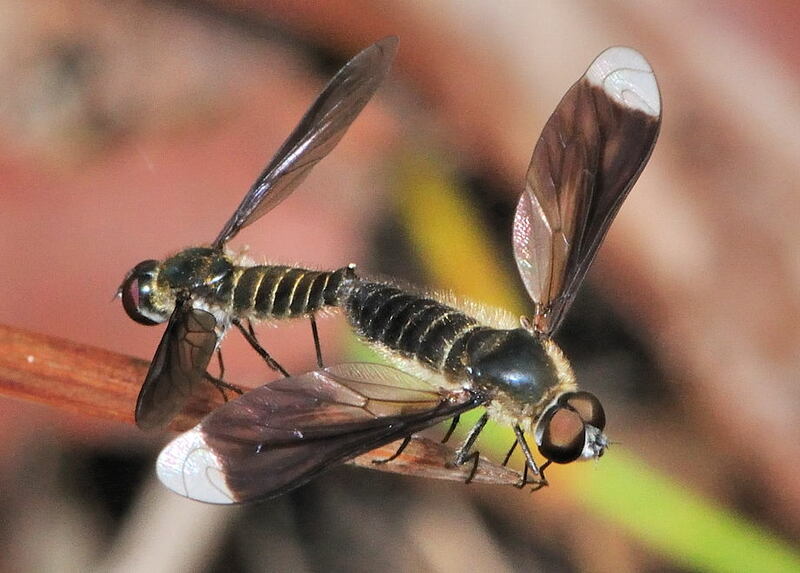 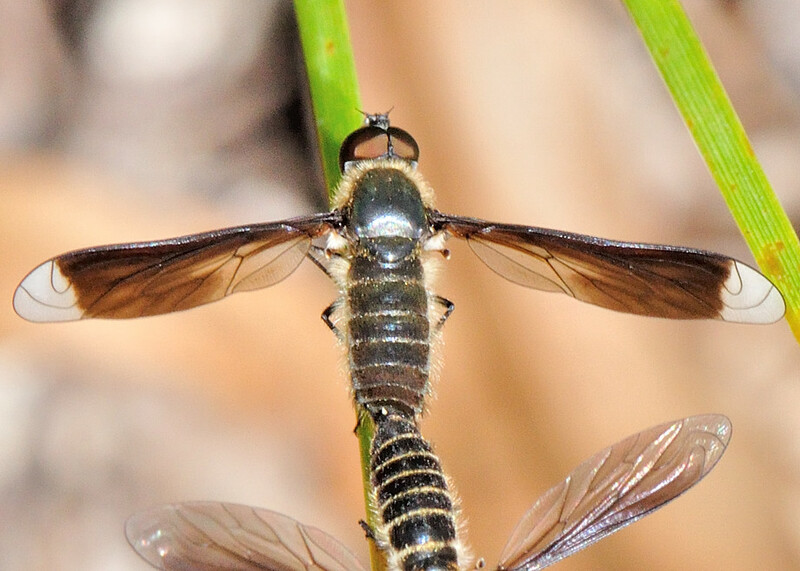 This page contains pictures and information about Black White-tipped Brown Bee Fly that we found in the Brisbane area, Queensland, Australia. The Bee Fly is black in colours with golden hairs on body. Wings are tinted in brown colour. 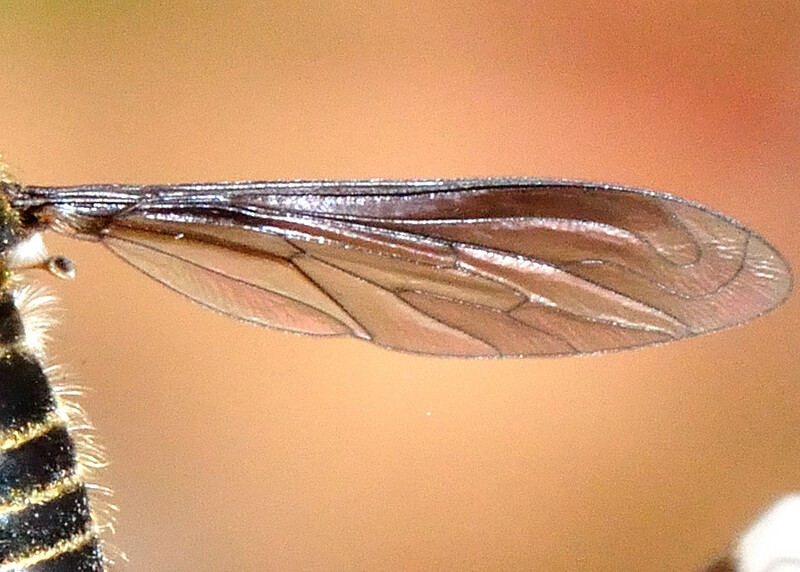 Male has the white stripe on wing tip. 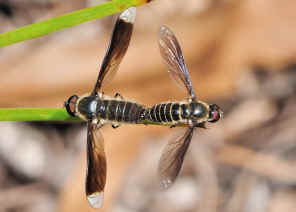 Female has wing uniformly light greyish-brown. 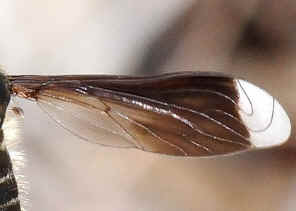 All legs are black. We saw this Bee Fly once in Anstead Forest on Nov 2009. The mating pair was on grass near the ground. When we took those photos, the female tried to fly away but the male seemed not too care on our approaching. 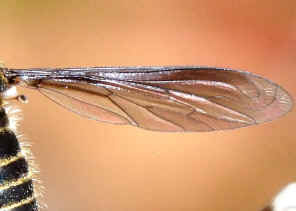 Last updated: November 11, 2012.